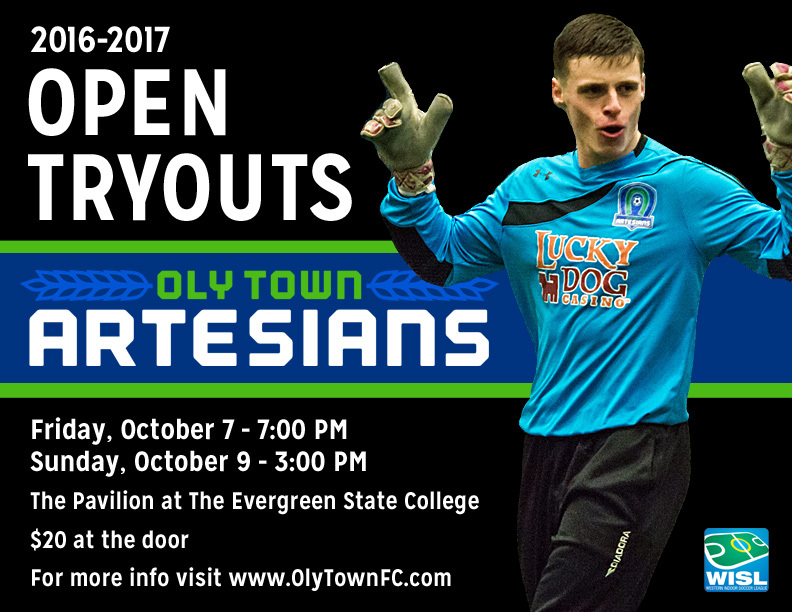 OLYMPIA, Wash. – The Oly Town Artesians semi-professional indoor soccer team and head coach Jason Gjertsen will host open tryouts for their 2016-2017 Western Indoor Soccer League campaign on Friday, October 7th at 7:00 PM and Sunday, October 9th at 3:00 PM at The Pavilion at The Evergreen State College. Returning players and newcomers are asked to attend tryouts and players are encouraged to attend both sessions. The cost to tryout is $20, payable at the door by cash, check or credit card. Please wear turf shoes only, no cleats are allowed on the field. 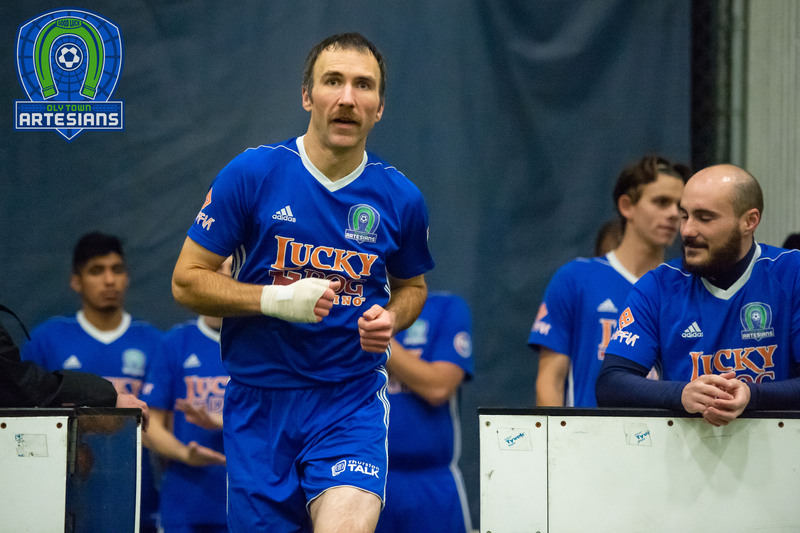 The Artesians debuted in 2014 and are entering their third season in the WISL and their second season playing at The Pavilion at The Evergreen State College. 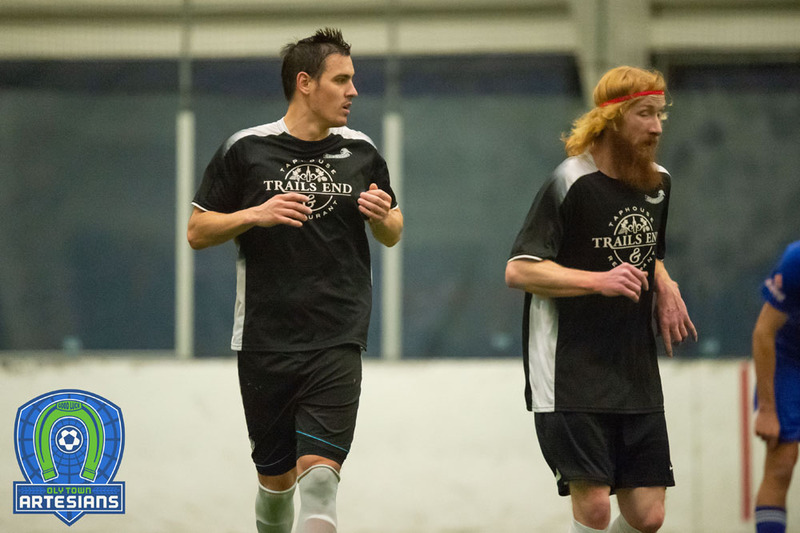 They will be led by experienced indoor soccer coach and Tacoma Community College men’s soccer head coach Jason Gjertsen. 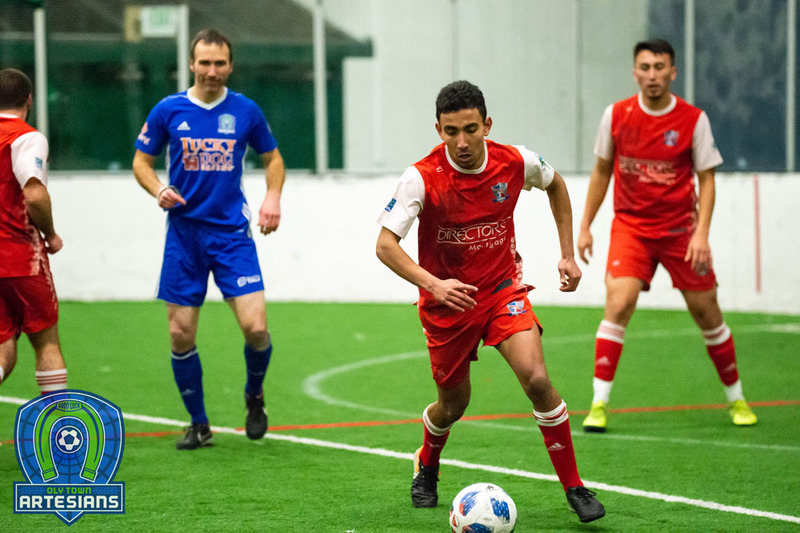 The WISL is a competitive semi-professional indoor soccer league that featured Bellingham United, Olympic Force (Bremerton), Oly Town Artesians (Olympia), Snohomish Skyhawks, Sporting Everett, Tacoma Stars Reserves and the Vancouver (WA) Victory last season. More information can be found by visiting WISLNews.com. Directions to The Pavilion at The Evergreen State College: From all directions of I-5, take US 101 North to the Mud Bay N./The Evergreen State College exit. Keep left and follow the signs to The Evergreen State College. At the roundabout, continue straight on Evergreen Parkway and take the next left onto Overhulse Road. Turn left onto Driftwood Road NW and go straight at the first stop sign. Turn left into Lot F for parking. Walk from Lot F to the closest intersection of Driftwood and Overhulse and turn right down the path to the college. The Pavilion is about 100 yards down on the left. 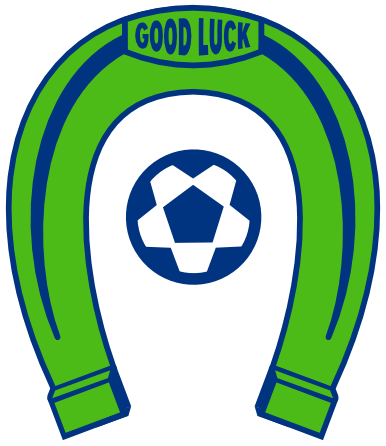 Follow the Artesians all season long by visiting OlyTownFC.com, liking us on Facebook at Facebook.com/OlyTownFC and following us on Twitter at @OlyTownFC.